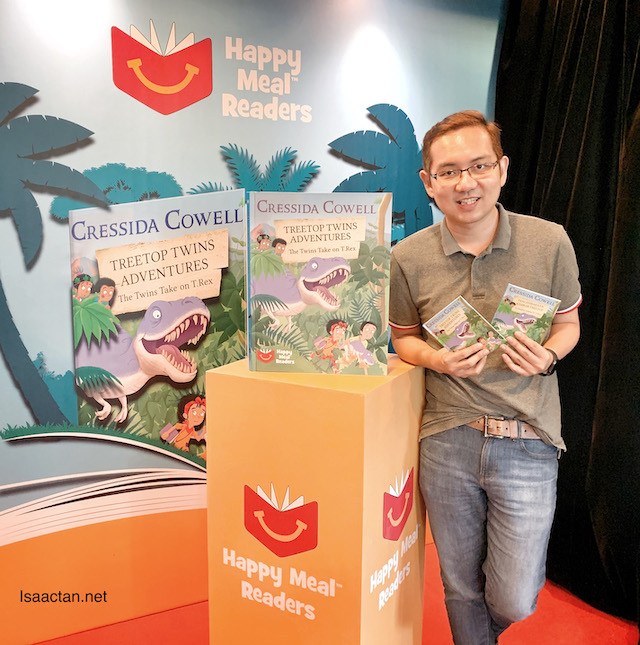 Happy Meal Readers Programme - Let’s Read Together! Grabbing a Happy Meal from McDonald’s nowadays doesn’t necessarily mean getting the toy only. Instead, we can opt for some pretty cool hardback books for the kids! I’ve been waiting for this for a while now, a way to in hone the reading habits of Martin and Karlson while having fun at the same time! McDonald’s has partnered with Cressida Cowell, world-renowned author of the bestselling ‘How to Train Your Dragon’ books. Cowell has written an exclusive series of 12 hardback books for McDonald’s that will not be available anywhere else in retail.